Cinco de Mayo is coming and I’m showing you how to make the best Homemade Ultimate Guacamole recipe that you’ll ever have! I learned how to make it using fresh orange juice from a restaurant in San Antonio. Guys, I rarely call something the “best” but, wow – this is it and it really is the best I’ve ever tasted. I will never ever ever (Taylor Swift style) make guacamole any other way after trying this recipe. I visited San Antonio, Texas last month with Mr. Wishes as he had to go for a work conference. I literally ate my weight in Mexican food while down there. That is saying a lot since I was only there for 4 days. Let me assure you that I did my fair share of damage in a short amount of time. When in Texas, right? I wanted to try all of the restaurants that were along the River Walk, but so many places and so little time. I know that I told you how much I love San Antonio in this post about my Southern Mississippi Comeback Sauce. This really is the Best Ever Guacamole recipe that you will probably ever make at home and it’s authentic. I use this amazing Oxo avocado slicer to easily core, pit and slice the avocado without risk of cutting yourself. I love it! The addition of the fresh orange juice is absolutely brilliant. Most restaurants we visited in San Antonio offered table side guacamole made to order right at your table. Our absolute favorite was at a Texas Bistro restaurant right on the River Walk called “Boudro’s“. The fresh-squeezed juice of an orange added to it really made it stand out above the rest. It gives it such a unique, fresh taste. We went back twice in the short time we were there! 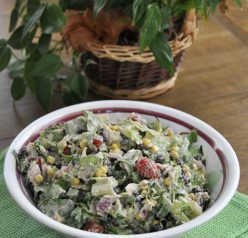 The combination of the lime juice and orange juice gave it the perfect acidic boost but didn’t overpower the flavors of the rest of the ingredients at all. Boudro’s shares their guacamole recipe on their website. While I did change it up a bit, it tasted just as amazing as their guacamole did. I will never look back now that I’ve tried it this way! This Best Homemade Ultimate Guacamole would go perfectly with my Honey Lime Chicken Enchiladas or my 20 Minute Cheesy Chicken Enchilada Soup. You can also go crazy and see my full collection of Mexican Food Recipes here. You can serve it in the mortar for a beautiful, show-stopping presentation. If you don’t have a mortar, no need to worry. You can combine all of the ingredients in a bowl and mash them with a fork to achieve a nice chunky consistency. Enjoy! 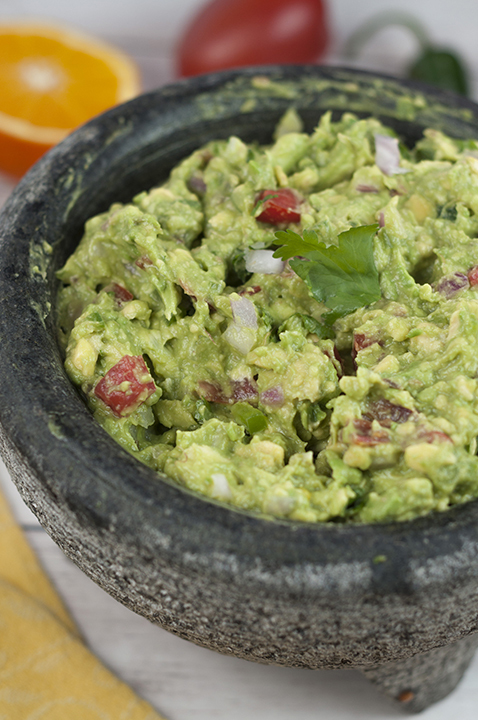 See my “How To” video above for tips on making this BEST Guacamole! Cinco de Mayo is coming and I'm showing you how to make The Best Homemade Ultimate Guacamole recipe that you'll ever have and it uses fresh orange juice! Add avocado to a bowl or a mortar and coarsely mash using a fork or pestle (or to your liking). Add onion, tomato, jalapeno and cilantro fold into avocado mixture. Add salt and mix. Adjust the salt as needed. 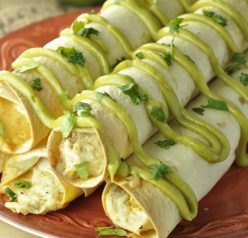 Serve at room temperature with corn tortilla chips or rolled up in warm corn tortillas. Guacamole should be served as soon as you make it. Don't make it in advance as it doesn't keep well. It turns brown very quickly. I swear guacamole is one of my food groups. I have it ALL the time. This sounds like my kinda guac! That does look very legit! 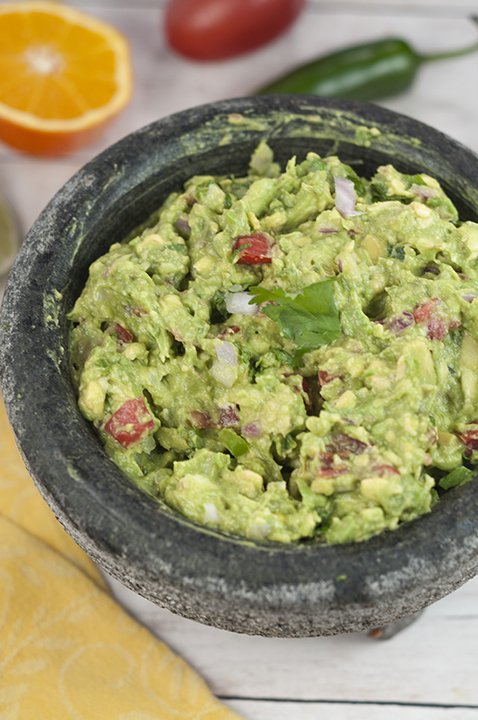 : ) I love a good simple homemade guac and this hits all the spots. Love how you made it in a mortar for that coarse texture. Yum! Our family loves guac and could probably eat it for every meal – particularly my little girl. That woman can put away some guacamole! The orange is a fascinating ingredient in here. I can’t wait to try making this! I love adding fresh orange to guac too!!! It gives it the perfect little zest. I am a HUGE guac fan and yours looks amazing. I’ve never tried it with orange. Perfect for Cinco de Mayo! This looks wonderful — SO full of flavor. Thanks! You can’t beat homemade guacamole! I could snack on this all day. I absolutely love homemade guacamole! I have been adding lemon juice, but orange juice sounds great! I sometimes add cucumber or grapefruit segments too and make dinner out of it. Love that idea! Sounds yummy. It’s a fresh spice you should be able to find just about anywhere. I don’t see when to add the juices~ I suspect you just mix them in! ? Great tip – thank you Joy! I made a practice batch and then a double batch for Mother’s Day. 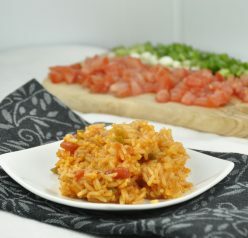 Thank you for a delicious easy recipe! That is a great tip! Thank you! !